I was recently given the opportunity to review several great products and experiences. You can read all about my fabulous experiences below. Please visit their sites online and start shopping. This fall, I was privileged to expand my coaching services to Monona. The Monona Rec Program (HERE) had a very successful inaugural Couch to 5K group. We started with sixteen ladies from surrounding areas in September and primarily met at Winnequah Park in Monona on Wednesday evenings. We also opted to train on Olbrich path for short, flat out-and-back routes. With the time change in early-November, we quickly lost daylight and were running in the dark - complete with glow bracelets, blinky lights and new reflective gear. We even navigated our way through the VERY dark route in Fitchburg one week before race day. We lost a few ladies along the way - due to injury, illness or being unable to fit the meeting time into their personal schedule. 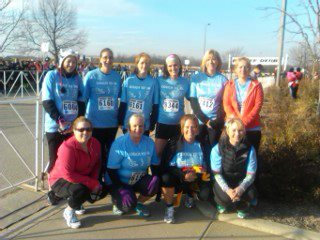 Twelve ladies participated in the Berbee Derby 5K (HERE) on Thanksgiving morning. Nine of the ladies are pictured above. These ladies not only fit nine weeks of training into their busy schedules - as moms, wives and career women - they also reserved Thanksgiving morning to run a race! Some of them even ran local 5Ks before the group's event, to test out the distance. We had a snaphew in obtaining the team shirts at our pasta party from Angelo's the night prior - but I had drove back to Monona after making some phone calls. And, I had them for distribution on race morning. The race started at 9:15 AM (after the start of the 10K). We met up at 8:45 and parking was an issue, crowds were crazy in the port-o-potty line and packet pick up lines were long, but moving. 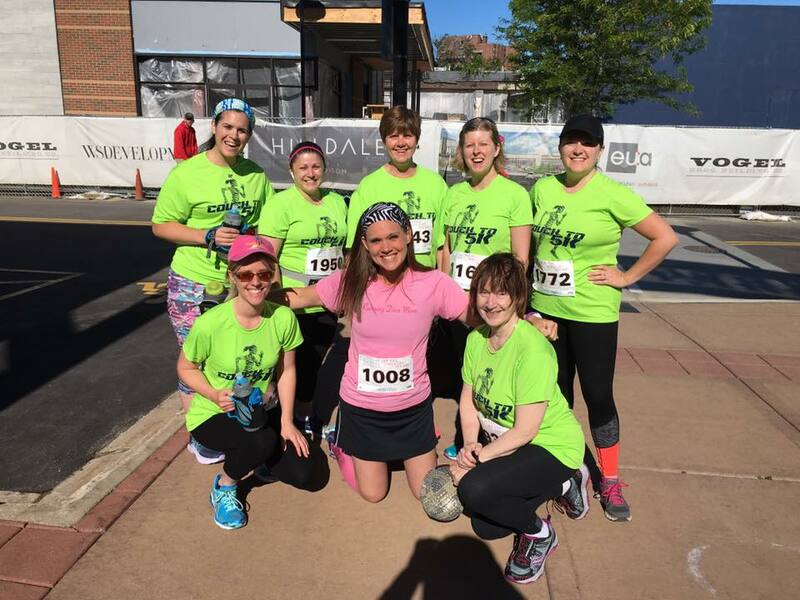 Many of the ladies opted to take advantage of early packet pick up the evenings prior. We used the port-o-potties after the start of the 10K race - the lines were then cleared out. And we met towards one of the last corrals - opting to pace ourselves. The weather was perfect - sunny and a forecast of around sixty degrees. The National Anthem was sung and their spirits were high, as we started across the start line and their timing chips started. Their support of family and friends speckled the start of the race course, onto Fish Hatchery Road. We enjoyed the closing of one side of the major roadway, as we then ventured to the DNR and towards the Capital City Trail - and some steep hills. I ran back and forth with the twelve ladies and did some of the hills twice. It was fun seeing them get so excited, smile, and hold conversation the entire time. I ran into some familiar faces along the way - some former clients. By the end of the race - many were finishing faster than our practice race - partially due to the lack of traffic and crossing traffic - but primarily due to their motivation, determination and enthusiasm for race day morning. Everyone finished between 30-45 minutes and went home to enjoy the Thanksgiving holiday with their families - and have an extra slice of pie or helping of mashed potatoes. 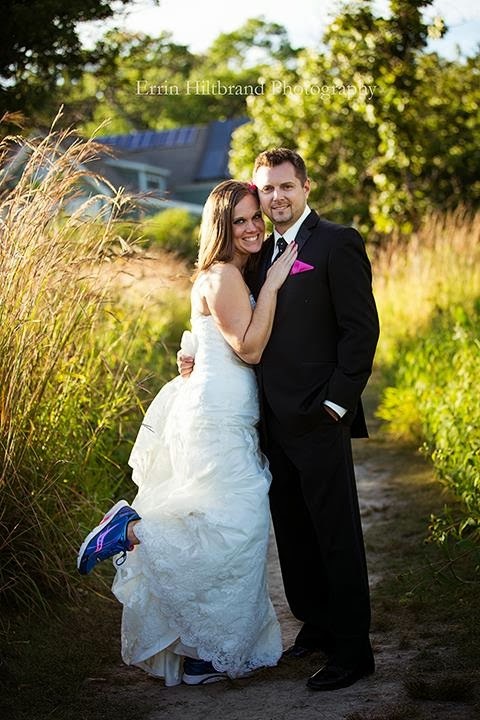 I will be coaching with the Monona Rec Program again, starting in early-March 2013 - finishing with the Lake Monona 5K in May. Some products really make you want to think - Why didn't I think of that? I was contacted by Shwings (HERE) a couple of months ago. These wings will make you faster - make you fly - maybe. At only $7/set - these are really a steal! You know I have no problem standing out in a crowd at races. And, these are an awesome addition to my bold running wardrobe. These fabric wings come in a variety of colors and styles - some even with glitter. You simply lace one pair on the outside of your shoe. Or, you can layer two sets for even more oomph! These are great with running shoes or would be great for your kids' athletic shoes. I wouldn't personally wear them for every day wear. But, they are awesome for races, especially themed races. They also offer them for velcro shoes - your toddler would love these! Shwings are now available in toy, gift, accessory and apparel stores nationwide including Nordstrom, Hastings, Kitson, Sportie LA, Vromans, Aaahs, Newbury Comics, Books A Million and many many more. Enter now though Thursday, November 22. Recently, I was contacted by Handana (HERE) to review their new product. This was the first I had heard of the product and was intrigued. With the cool Wisconsin winter right around the corner, this would be perfect for my clients and I. In fact, a few were just asking recently if such a product existed - rather than stuffing tissues in their pockets. Twenty-six years ago, a severe reaction to a medication sent me to the burn unit at Barnes Hospital in St. Louis. I was diagnosed with Stevens-Johnson Syndrome (SJS), an autoimmune reaction causing your skin to blister to the point that you have 2nd and 3rd degree burns. Unlike many with SJS, I survived and was not left blind or severely scarred. I felt so blessed by this outcome. Yet, as I started running, I discovered that SJS did leave my eyes very sensitive. If sweat drips into my eyes, it burns so badly that I find it hard to focus on anything else. 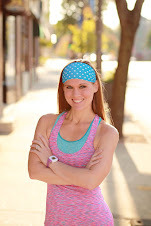 Wearing hats and sweatbands help, but in the Texas heat, I found that the sweat still dripped, causing extreme pain and an excuse to stop my workouts. With my first marathon in sight, I needed a solution. That’s when I created Handana. It is a high performance fashionable sweatband that wraps around your hand. You can use both sides of your hand to wipe sweat from your neck or forehand, while leaving your hand completely free. And if you’re like me, you need those hands, either to keep your stride smooth or to open GU packets and water bottles. Handana does more than protect my eyes: It has become a powerful reminder to cross my finish lines, to persevere. And I hope that is what others take away from my story and from this product, that it becomes a symbol and an inspiration for all of us to cross our finish lines, no matter what they are in our lives, and empower others to do the same. The product is great for wiping sweat out of your eyes or brow. It's also great for the cooler months, when your nose is running while you run outside (sorry, TMI!). I could have really used this for the super hot and sweat summer we had this year. The sweat was always constantly in my eyes. I loved how my fingers were free to move to adjust clothing, play with my watch and energy gels. It also worked great, when layered with gloves. I also loved how it wasn't bulky. I wore this in my right and had my handheld water bottle in the left. Handanas come in six different sizes - so it will fit you perfectly. 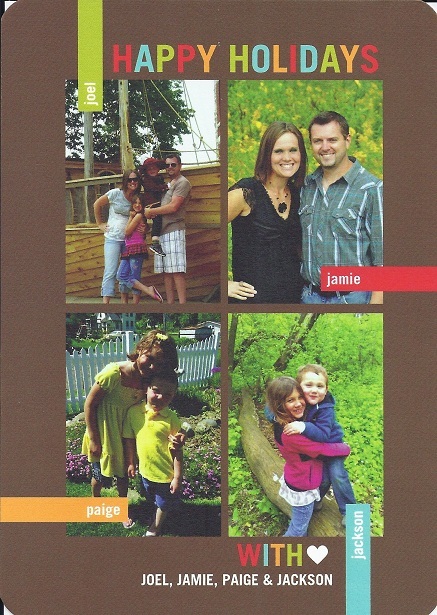 There are also twenty fun color options to choose from. There are many color options for both men and women. Of course, I chose pink! These would be great for all sorts of sports and for your kids activities. Little Diva and I love working with Kidz Bop (HERE). They are constantly coming out with new assortment of the latest tunes - but sung buy kids. These age appropriate tunes are great for the car or around the house. We love them for our random family dance parties! So, we were really excited to receive Kidz Bop Christmas 2012 (HERE). As soon as Halloween passed, Little Diva was cranky the holiday tunes in her bedroom. It was so cute listening to her sing along to Silver Bells and Little Dude singing along to Rudolph the Red-Nose Reindeer. Kidz Bop Christmas has fifteen seasonal tracks for the entire family to enjoy together. This would be great to play while the family is decorating the tree or in the car while you are out shopping for the perfect tree. After every one of my couch to 5K sessions – I almost always get thanked. I’m not quite sure why they are thanking me as they head to their vehicles. THEY are the ones doing all of the hard work alongside me after all. They know that. But, I think that they are simply thanking me for holding them accountable. For giving them a reason to show up. Giving them some routine with their running. For helping them stick to their goals, through a gradual process of transformation. Everyone needs some reason to show up – and to keep going. Last week, I was then thanked for being ME. I was thanked for not being a “B” – for not cracking the whip. For making it an encouraging atmosphere and making it fun. For not being a blonde ponytail Barbie in spandex that has been rail-thin all of her life. I reminded them that I can only be me; and that honestly, I am just like them. I just got started on my journey a little earlier. Look - I have the same struggles as they do. 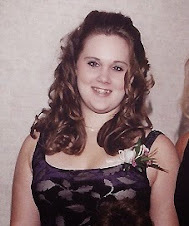 I have struggled with body image, weight loss, self-esteem. 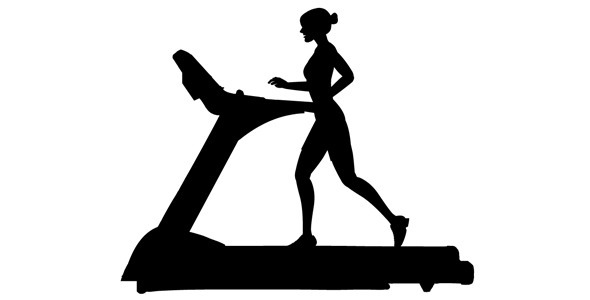 I like to eat and give in to cravings and need to stay active to avoid weight gain. I have had dramatic changes in my personal life and have needed to adjust my routine. 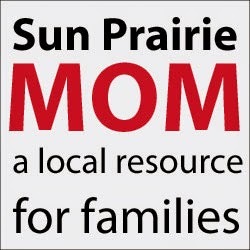 I have two active children and a career that keeps me busy. I still struggle to “fit it all in” and to find balance. Sometimes I, too, need others to hold myself accountable. They are providing me with the same support and commitment that I am giving them at these sessions. 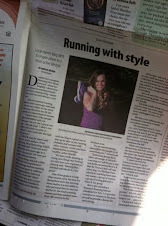 I don’t always get out the door with my running shoes when I’m supposed to. So, to those that run alongside me … or simply read my words here – thank you for allowing me to be a part of your journey – and thank you for being a part of mine. 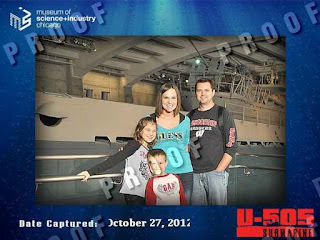 A few weeks ago, we were invited by the Chicago Museum of Science and Industry (HERE) to enjoy the museum for the afternoon. What a treat on a cool, fall day. We ventured from Madison to Chicago and were ready to check it out after our two hour drive. I had been there before and even took Little Diva when she was much younger. The kids really like hands-on activitied and learning about things and how things work. So, this was a really fun thing to watch it all through their eyes - a little bit older. I loved seeing their excitement at each exhibit. There were so many things to touch and try out. So many buttons to press. Things to listen to that explained the history behind exhibits. It was nice to be somewhere with them - where they were surrounded by tons of other kids - and I didn't have to tell them not to touch this or that. They were able to check everything out first-hand. They asked lots of questions. I didn't always have the answer - but there were always lots of explanations along the way. The Idea Factory (HERE) was an awesome play area. With separate child and toddler areas - this was very comparable to a mini children's museum. We could've spent hours in there, playing with machines, balls, water and so much more. The kids literally raced from equipment to equipment to see how it all worked. They even had child/family restrooms enclosed in the small facility. We took a break and ventured to the cafeteria. The Kidzone (the kids had their own food counter at the cafeteria) had a FABULOUS array of choices ... including many health ones ... for Little Dude and Little Diva. They both gobbled their meals - each so very different - and, mommy was happy she didn't waste a dollar. I was very impressed by their Kidzone food counter. They also had many fresh and healthy options for adults. With so many options to choose from - I opted for a really tasty salad. It was great way for us to take a quick break, rest our feet, our brains, and get more energy to go out and explore. Little Dude and all of his curiousity, really liked the Science Storms exhibit (HERE). It was really neat to see replicas of hurricanes, storms, and lightening - with staff there to answer questions. One question lead to another which lead to another. He loved it. Little Dude LOVES watching factory videos and how things are made. We were really said (he was in tears) that the ToyMaker 3000 exhibit was closed that afternoon (HERE). Maybe next time, Little Dude. 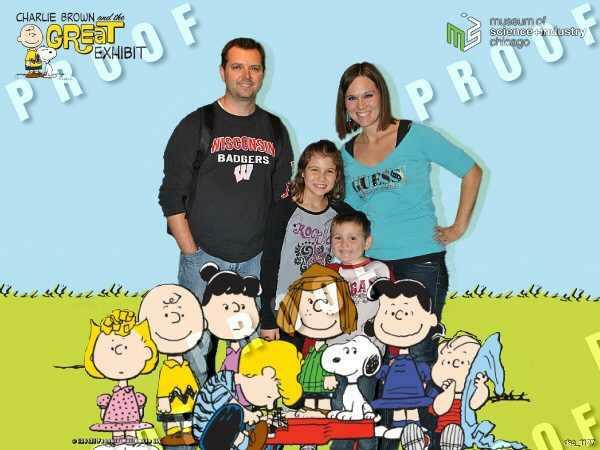 We had a 2pm entry to "Charlie Brown and The Great Exhibit" (HERE). For $5 for adults and $3 for children, families can explore the life of Charles Schulz and Charlie Brown and his friends. Open now, through February 18, 2013. The kids enjoyed more hands-on activities, computer activities, drawing and looking at REAL comic strips. 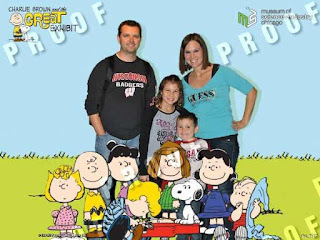 They really enjoyed seeing a replica of Charles Schulz's office. The kids also liked making their own comic strips and taking them home. We spent about 30-45 minutes in the exhibit. Charlie Brown and the Great Exhibit explores Schulz’s personal history and his role as the sole inspiration and artistic talent behind Peanuts and its unique cast of characters. Through original cartoons, as well as reproductions and related Peanuts memorabilia, you will see how characters like Charlie Brown, Snoopy and Lucy were developed and how they evolved over decades in print and popular culture. A recreation of Schulz’s Santa Rosa, Calif. studio is presented on tour for the first time, where the real tools and mementos he kept there provide a deeper look into what fueled his creative process. Take a Peanuts tour of holidays—Halloween, Thanksgiving, Christmas, New Year’s Day and Valentine’s Day—celebrated so famously by these characters. Enter the recreation of Snoopy's doghouse interior, never shown in the strip, to see the eclectic belongings of this unique dog. Exercise your own Schulz-like creativity with activities like making animations for a zoetrope, tapping out a tune on Schroeder's piano or donning a Joe Cool costume. A trove of beloved memories and a fascinating study of creativity, Charlie Brown and the Great Exhibit presents one man's life and his work… which just happens to be about life. 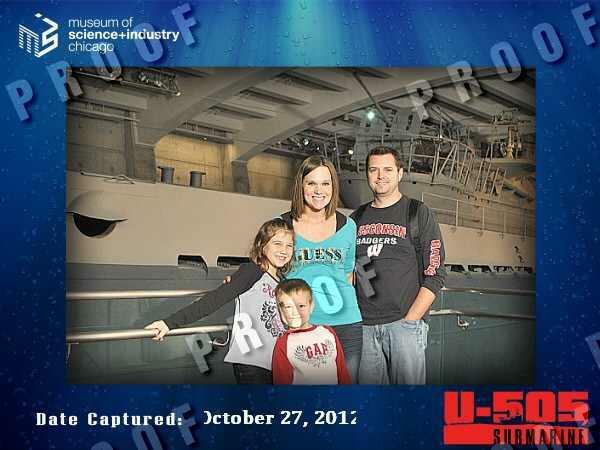 One of our favorite spots was the U-505 exhibit. I had seen the exhibit before, but appreciated it more, years later. Little Dude really liked it and asked lots of questions. The kids even were able to try a submarine simulator - free of charge. They were all smiles. When we go back to MSI again - which we will - I will definitely purchase the family passes to go in and explore the submarine. We really enjoyed learning about it on this visit. We really maximized our hours at the museum and stayed until the doors closed. Can't wait to go back. But, why don't you go check our MSI yourself??? This past weekend was Little Diva's big event ... her first 5K. 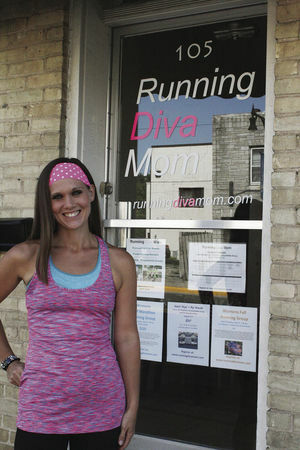 She's been training for the Dane County Girls on the Run 5K (HERE) since early-September. She and her fellow team mates have been training together twice a week. They have been learning about peer pressure, body image and so much more - while nurturing their physical, emotional and spiritual health. Training for this 5K has given her a new outlet for all of her energy and I've seen some additional confidence in my girl - even though she already had a ton of it. I've participated in this race every year prior and also coached it. So, I was well familiar with the event and what an exciting atmosphere it is - 550 little girls with their coachings, running buddies and families there to support them at the finish line. 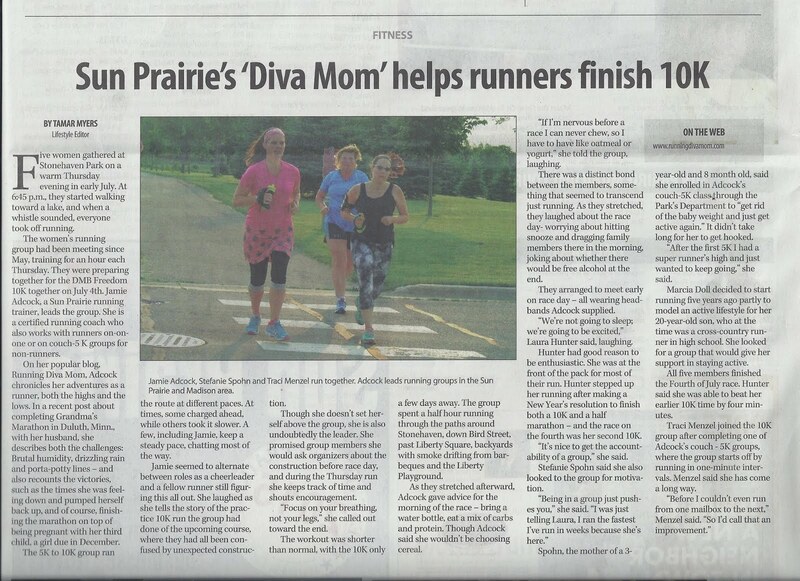 Little Diva's team ran a practice 5K a few weeks earlier, which she ran with her dad. I was very excited to be running this rate with her - my favorite little girl and my favorite organization. We arrived at the team signes and the girls got all made up with crazy makeup and bright spray painted hair. They also had awesome fleece hats that were handmade in the GOTR green/pink colors. We darted through hundreds of runners - young and old - lots of tiny feet maneuvering through the crowds. It was pure awesome as we tackled the first big hill with many of her friends and some of mine as well. We ran the first mile or so holding hand and hand. She got to the first mile marker around 12 mins, after taking two walking breaks. The next hill was just as large and we kept finding landmarks to keep us going - lightposts, mailboxes, signs, people in bright colors. 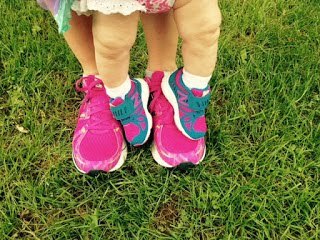 I heard many other running buddies going through the same strategies with their young runner. At one point, she commented about how much easier this was at the practice race - because the course was flat. Half way through, she got hot and gave me her fleece hat and rolled up her sleeves. I was carrying my handheld water bottled and she sipped on it during most of our walking breaks. We skipped the water station because of it. I was familiar with the course and kept giving her updates about the next hill, twist or turn. With a half mile to go - I told her this was it. She kept getting excited and picking up speed. I told her to slow down, pace herself, and finish with a smile on her face. We saw the 3rd mile marker and with .1 to go and one bend in the road ... she picked up pace incredibly and left me in the dust. 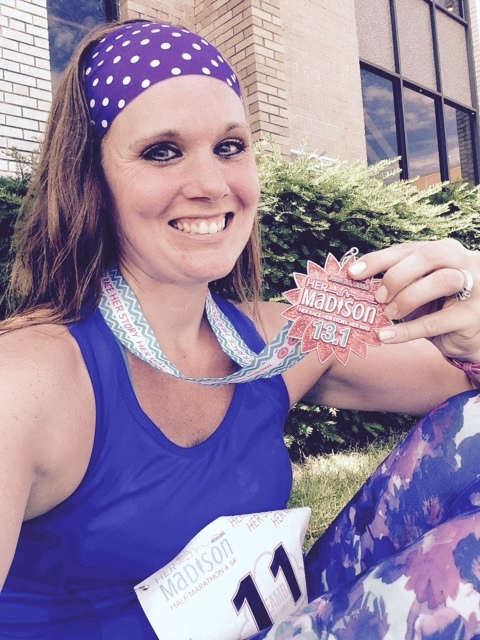 She lifted her legs high, took long strides, and smiled her way to the finish line. I'm so proud of Little Diva. She tried something new, met some new friends, discovered a new outlet and saw the process through to the end. She ran her race in 36:30. An unbelievable accomlishment for anyone - especially an eight-year-old. 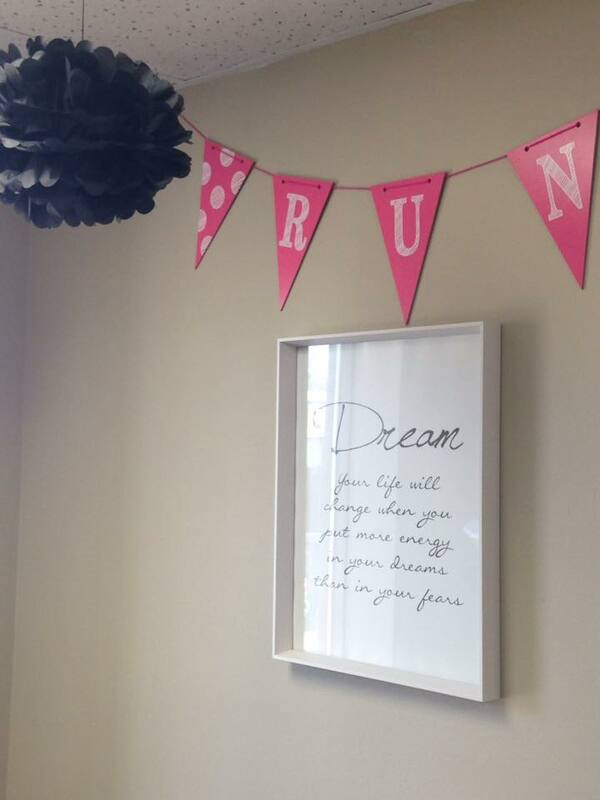 She has even offered to run a Mommy and Me running group with me this spring. 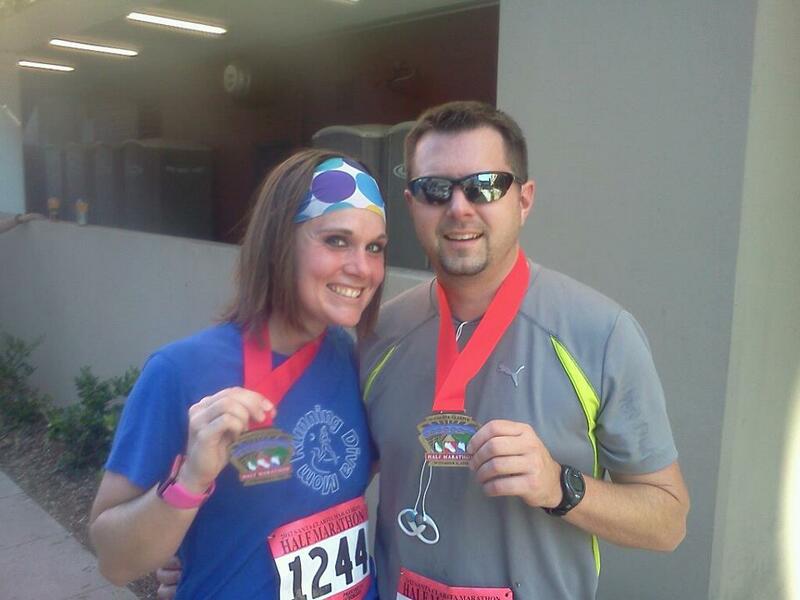 This past Sunday, November 4, The Boyfriend and I competed in his first half marathon – my thirtieth. He lived out in the Los Angeles area for ten years and his family is still calling it home. So, we decided to venture out for a quick visit, have our first real vacation together, and participate in a race while we were out there. We found that the Santa Clarita Half Marathon (HERE) was running right in Valencia, where his family lives – the race actually went right through their back yard. We arrived late-Saturday afternoon – missing packet pick-up. So, his stepmom was nice enough to venture out to her first race expo and pick up our nicely fit technical tees (different fit for men and women), swag bag and race posters. This would be the seventeenth year running of the Santa Clarita Marathon and Half Marathon. This was the first year they would be using the newly open trails along the San Francisquito Creek. Paved miles of path through the valley, surrounded by miles of white fencing and mountains. With a two hour time difference – and then the time change with daylight savings ending – we were a little off with our sleep. We went to bed early and woke up at 5:30 – with plans to head out by 6:15 for the 7:00 start. We went out to the kitchen and had a huge “runner’s breakfast” waiting for us. His step mom had laid everything out that would keep us carb-loaded and hydrated for the morning. 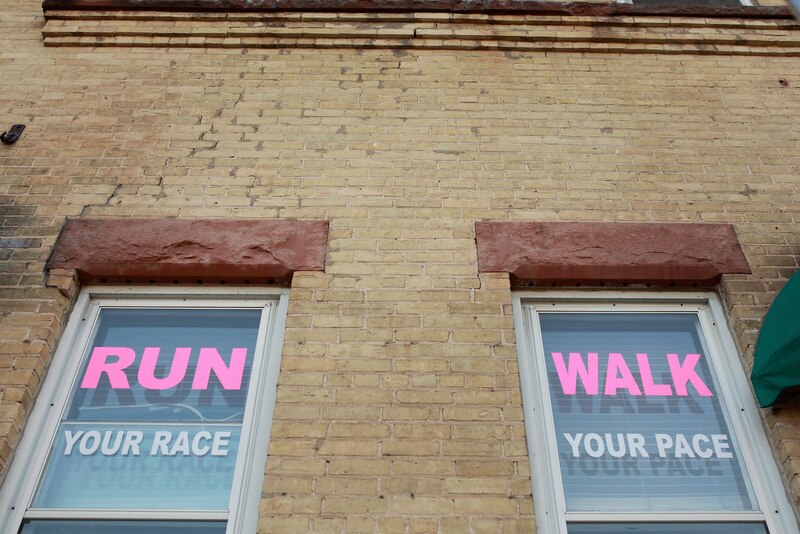 All of the fun notes – including on the clock, due to the time change that was making us nervous about waking up too early or too late – made us laugh and even more excited about the race. We ate, got ready and headed down to the startline. The Boyfriend had a taste of pre-race jitters, when he forgot his gum at home. So, we stopped at a gas station quick – so that he could keep his mouth from getting dry – and his nerves at bay. 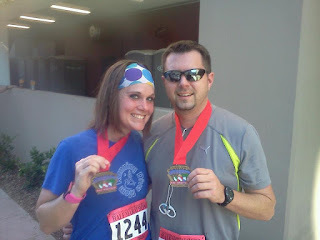 We started our 13.1 mile journey together - in a sea of marathoners, half marathoners and 5K runners. It was crowded. A nice-sized event – a few thousand. A group of four young ladies sang the National Anthem beautifully and we were off. We darted along the right side of the street, so that The Boyfriend’s dad could snap photos. Trying to get to the startline, The Boyfriend suddenly tugged me towards the center of the group. Huh??!! I looked down and there were groups of balloons, corralling runners to the center of the road, across the start line … and the mat. I totally would’ve missed it … and my chip wouldn’t have started. 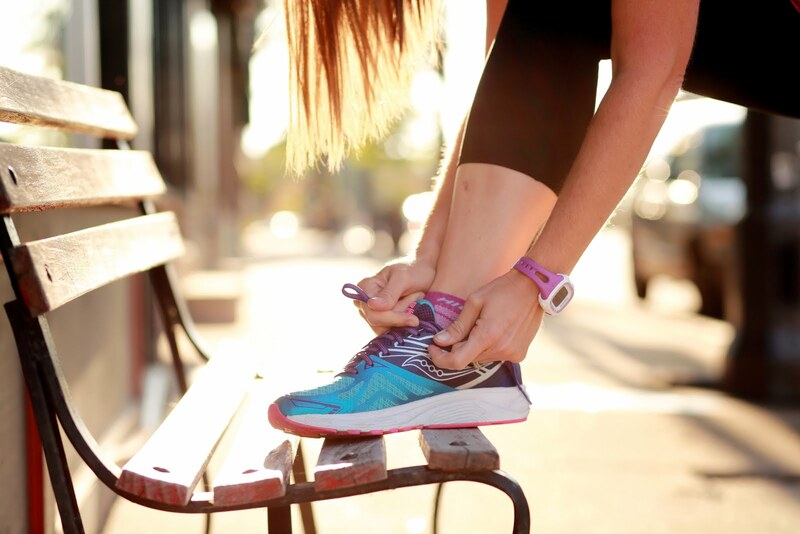 Many, many, MANY runners must have missed this … because the results say that there were 383 full marathon participants; 1265 half marathoners. Based on previous years’ attendance, there were surely more participants in both events. And I know that the crowds were much more. The plan: to start together – to finish together. This was his first half, but I knew that he has more speed than I. We both hoped to finish around two hours. We headed up a large hill – some people were already walking. I was confused. We stayed together, along the route, darting people and maneuvering our way through the large clusters of runners and informal pace groups that were forming. What goes up, must go down – and it did. We headed down the hill and all I could see was mountains surrounding me. Awesome – I was running near mountains! First time ever. The first mile was slow, due to the crowds. The second mile seemed much faster and the third even quicker. My right ankle was bugging me and I had to complain once. The first few water stations only had water, so I didn’t stop. I sipped out of my handheld water bottle. Later, I ended up taking lemon-lime (dislike!) Gatorade at each water station. But it helped me. Around mile four, my tummy started acting up. I could tell I’ve gained some weight in the post-marathon (lack of) running I’ve been doing. And, that all of the mini candy bars I’ve been swiping since Halloween were slowing me down. Not good. I instantly regretted every bite I took. Note to self. Note to self. Note to self. The Boyfriend was naturally running slightly in front of me. His sweet-self would then look back and run back or slow down, to stay with me. He had much more in the tank than I did. I attempted to push myself, in order to keep up with him. We were moving at a decent clip as we zig-zagged oddly through a rental complex and then onto some path and then to a business park. My tummy and my nose did not like the smell of pizza at a local bakery in the industrial park. I was slowing down … but we were still keeping a great pace of 8:42 min/mile pace - at mile 5.5 we were at 47:46. Around mile 6, we headed out on the beautiful trail and were ahead of the 4:00 full marathon pacer. I knew his family’s home was ahead and so would our spectators. We stuck together as I expressed my gut ache and slowed down. They snapped some photos and cheered us on. Soon after 7.5 miles, the 4:00 pacer passed us, with their orange balloons floating above. I saw them going, going, gone … and I couldn’t keep up. I told him to go – go get that sub-2:00 half. I didn’t want to be selfish and keep him from his goals. That was completely unfair of me – even if I had dreams of crossing the finish line together – holding our hands, clasped in the air – smiles on our faces, as the clock read 1:59-and some change. Not fair at all. 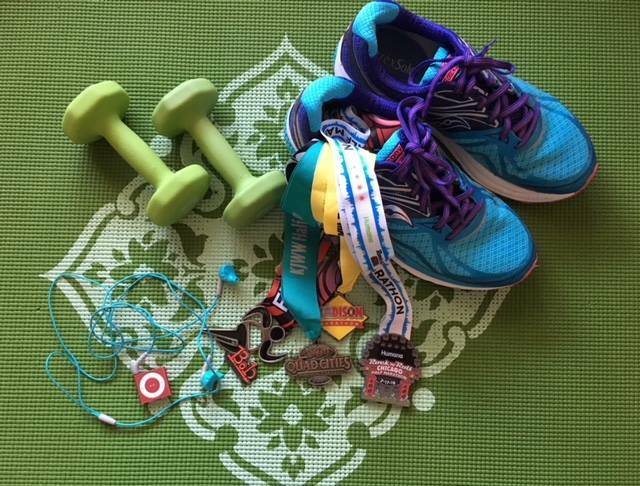 I’ve learned anything about my running journey – it’s that each journey is our own. Mine is mine. His is his. And, if I’ve learned anything about relationships – it’s that compromise and support mean everything. There is no room for selfishness. He asked me about a half dozen times if I was sure and then went on – after those orange balloons. Oddly, over the next mile I readjusted my attitude on the race, as well as my pace. I slowed down. I took some deep breaths. I played “California Love” three times in a row – because, well, I was in California people! I looked at the gorgeous California scenery, the mountains, the beautiful path I was running on. And you know what??!! I suddenly felt better. And my paced increased and continued to increase. At mile 9 I felt great as we headed in the opposite direction. I saw the family on the bridge overhead as I got “intense” and wanted to finish strong – instead of slacking off like I usually do. I was picking up lots of time and cranking the tunes. I got some great comments on my yellow socks and was actually starting to pass people – instead of them passing me. Many runners were walking as it was really warm (in the 90’s that afternoon). With a half mile to go, I saw a young gal walking and holding her sides. I tapped her on the shoulder and said “Come on – we’ll finish together”. And she started running again as we took a turn and crossed the bridge. “Over the river and through the woods to the finish line, right?”, she said. I asked her where she was from and she said far away … doubt she was as far as me!! I told her I was from Wisconsin and she nodded – I don’t think she had any clue where that was! She told me this was her fifth half marathon and we were going to finish this together. We saw the crowd at the finish line and I encouraged her to pick up the pace and that you should always finish with a smile on your face. We turned the corner and raced to the finish line with smiles on our faces. We crossed the finish line in 2:02:13 – a 9:20 pace. Not my best – but not my worst. We finished with one high five, and then another. The Boyfriend ended up finishing in 1:56:45. I can only imagine what he had done, if he hadn’t stuck with me the first 7.5 miles! He came in 270/655 in his age group and 364/1265 overall. And, he says he never hit a wall or struggled. First half marathon. Amazing. I ended up not finishing too bad myself. Love our matching medals. 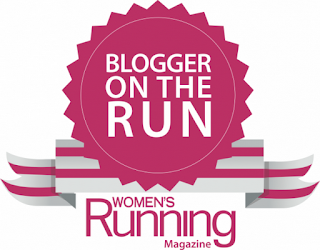 Blogger on the Run - Win a Free Subscription to Women's Running Magazine!! Guess what??!! I've been chosen as this week's Blogger on The Run and am currently featured on the front page of Women's Running Magazine's website (HERE)! You can check out the full article (HERE). 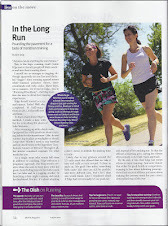 Read the article and COMMENT on the article ... and you will automatically be entered for a FREE ONE YEAR SUBSCRIPTION TO WOMEN'S RUNNING MAGAZINE!! Thanks for following my journey!! 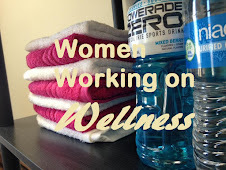 I was recently given the opportunity to review several fabulous products. 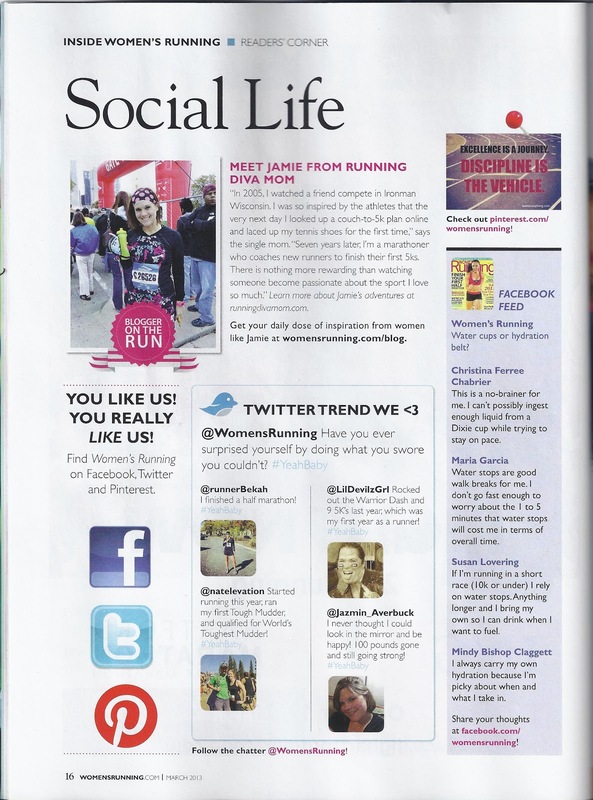 You can read all about my fabulous experiences below. Please visit their sites and start shopping.